If you follow me on my instagram (@reginachow_sg), you may have already seen a preview of my outfit for the MCM Fashion Show at FIDe Fashion Week recently. 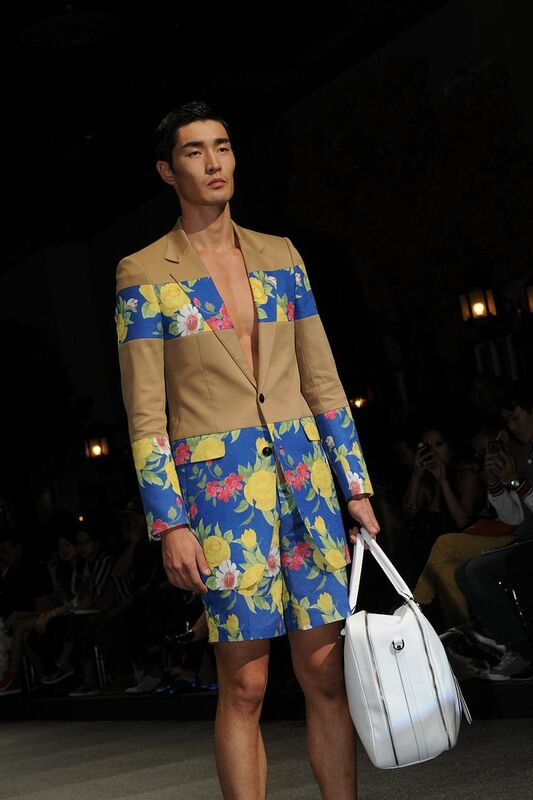 My #ootd for the #mcm fashion show at #fidefashionweeks . More pics on reginachow.blogspot.com next week! As promised, I have also included more pictures of my outfit that day in this blog post. This outfit was put together at the very last minute as I had to rush off to work in the day before heading directly to Marina Bay Sands in the evening for the MCM Fashion Show. I bought this eye-catching blouse and skirt set from Ching at Far East Plaza a while back and what strikes me most about this outfit is the poufy structure of the skirt, which lends dimension as well as a touch of edginess to the ensemble. 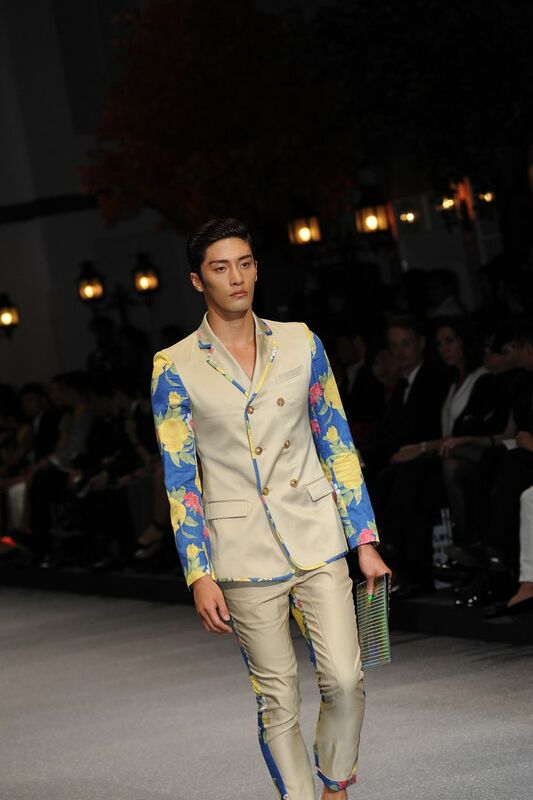 The colour and embossed material are two other aspects that caught my attention. I love the colour gold, and if you notice, most of the bags I carry, including the Loewe Amazona bag that you see here, come with gold hardware. Somehow, gold complements my skin colour much better than silver, which tends to wash me out. The embossed material, on the other hand, adds texture and interest to the otherwise plain canvas. I particularly adore how the embossed texture accentuates the sheen of the metallic gold hue and is able to capture all the tones of this brilliant colour from different angles. 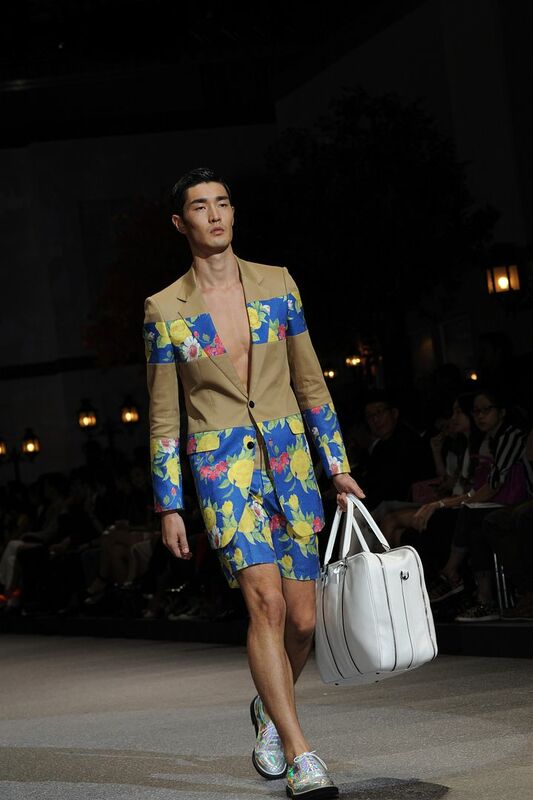 Now, here's presenting MCM's Spring/Summer 2014 Collection, "Flower Boys in Paradise". 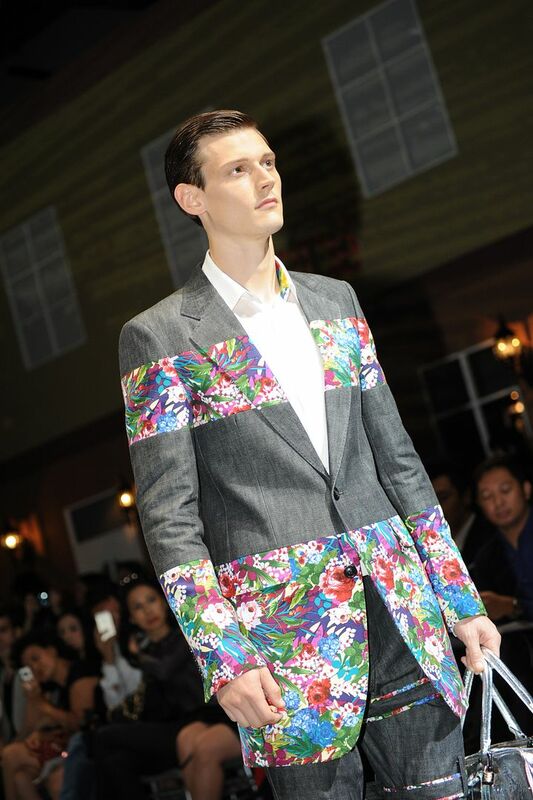 Featuring a kaleidoscope of tailored, genderless silhouettes and shapes as well as an array of floral and classic Visetos motifs, MCM's latest collection celebrates the spirit of Spring through carnival colours such as poppy red, electric yellow, neon green and metallic gold, juxtaposed against wild, exotic prints. Each piece in this collection pays tribute to sophisticated and urban utopias for discerning globetrotters internationally. 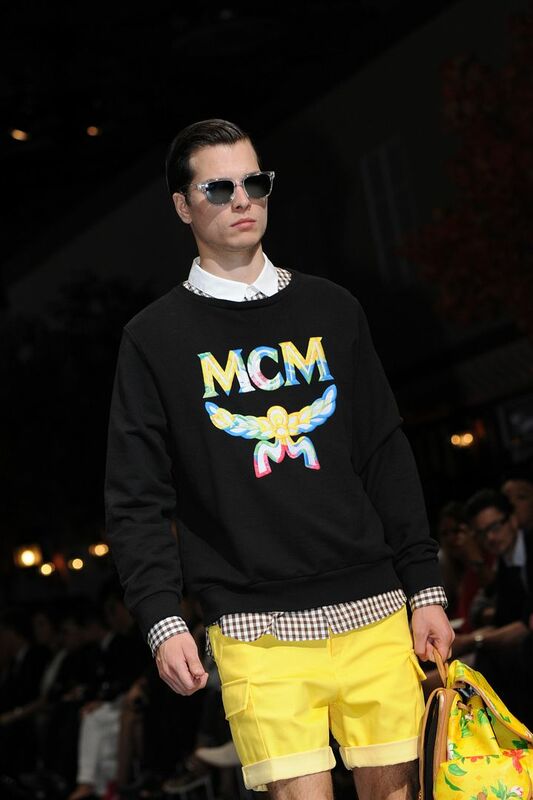 The duster coat and motorcycle jacket were given a fun interpretation while MCM's signature bags were given a unique twist with the ingenious use of pop colours and floral motifs. 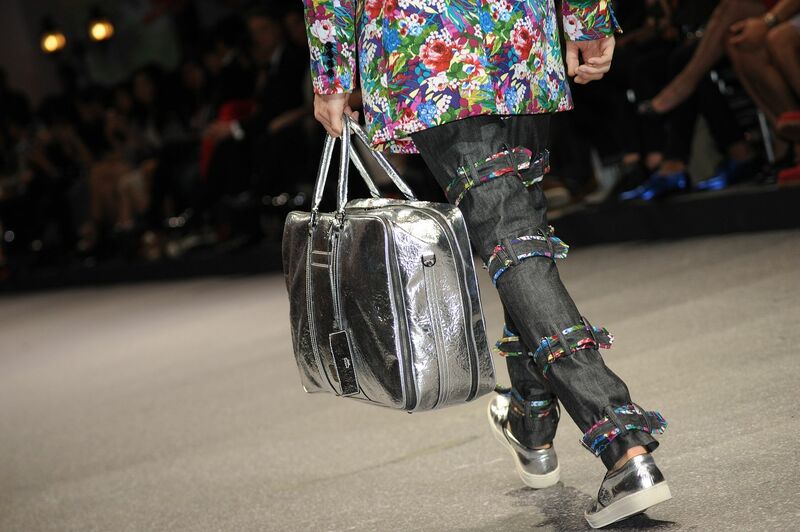 The result is a fresh, invigorating collection, never before seen at MCM.